I'm always intrigued as to how bloggers name their little corners of the internet. Such a creative group of people are represented by such an amazing array of names and the stories behind them are always my favourite thing to read on About Me pages. But before I explain how 'Between My Passport Pages' came to be, there is something you should know about me: quotes are things I hoard ceaselessly. An endless source of inspiration, I'm pretty sure I have one a selection for every occasion - scribbled in notebooks, pinned to Pinterest boards, underlined in books, taped to the walls. There is something about the magic of words; the way they reflect a time, a place, a person, a feeling. But even avid collectors of quotes are surprised sometimes. Once in a while a quote sneaks up on me, like it was laid there in wait, hidden on the curve of a page until its time came. At the end of my university career, I found myself at a loose end. Having put pen to paper or fingers to keyboard very little in the last year (other than for lengthy essays or for rapid scribbling in the exam room), the concept of going back to writing for pleasure seemed a little alien. Having left the blogging world by the wayside a year ago, I was hesitant of the prospect of getting back on the horse. My old blog name seemed redundant - how could I start to write again if I couldn't even decide on a name for the space that was supposedly mine and mine alone? I am a frequent traveller and have been ever since I left school at the age of 18. I've made homes in Chile, Spain, Russia and Portugal and will soon be moving to the Netherlands for a nine month stint. 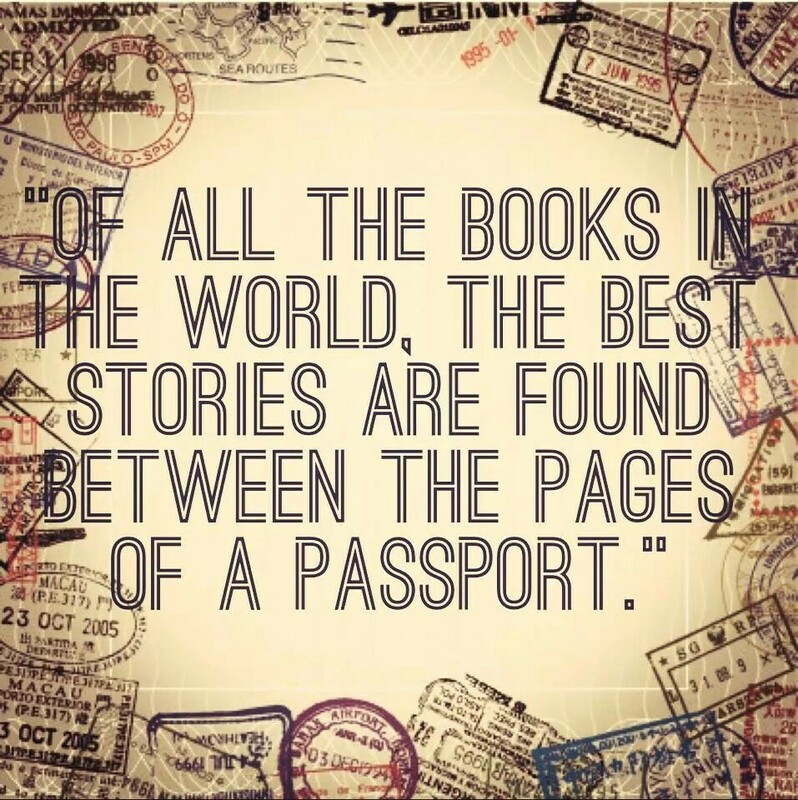 Some of my fondest memories come from between the pages of my passport and people I've not seen for a while always ask 'So where in the world are you this time?'. I am often living out of a suitcase and that's what people have come to expect of me. This expectation helped me to understand the quote from two different angles: of course, from travel comes memories but also that there is more to a frequent traveller than their travels. While I don't deny this blog will often document trips and travels, it want it to be a little more than that; otherwise what will happen to this space when the passport is tucked away and the luggage stowed? As well as travel tips and expat stories, I wanted this space to reflect the other side of me too, the girl behind the heavily stamped passport pages - the one who likes to sew, to cook, to drink wine and to have afternoon tea. From this, a blog was born. 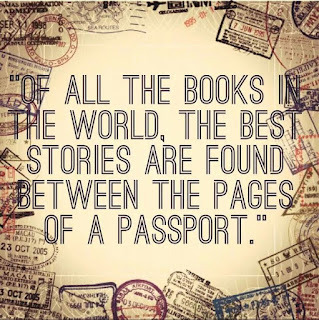 'Between my passport pages' will be a space for travels but also for the girl behind the passport. I hope you stick around! Does your blog name have any special significance? I'd love to hear about it in the comments.